SCAD Hong Kong is a sinking ship. It is being reported in the HK press that SCAD owes an estimated 21 million dollars in back payments on the 32 million dollar investment fronted to the Gold Coast Art School by the HK Development Agency. News agencies in HK are reporting that the HK Development Agency will decide later this year (2013/14) whether or not to “recover” its $32,000,000 investment in SCAD’s Hong Kong campus by “reclaiming” the building. Local HK business leaders are blaming a “serious lack of interest” in the low country art school as the primary cause for SCAD’s failure to pay its debts. Current SCAD HK enrollment appears to be 35% of what was estimated three years ago. 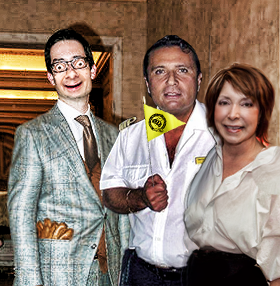 Captain Schettino, Tik and Dear Leader Meet to discuss HK escape plans. 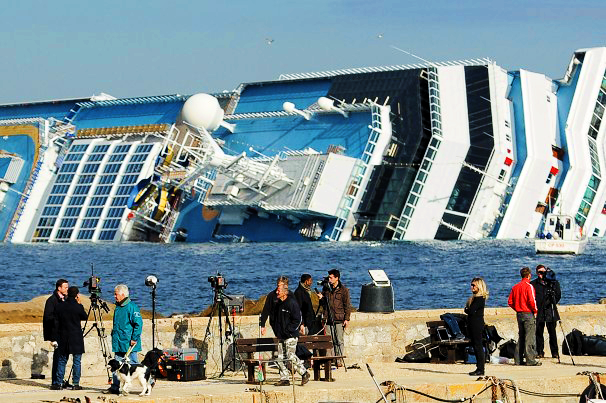 In response to the descending fortunes of the SCAD HK campus, SCAD has hired ‘Sinking Ship’ expert, Captain Francesco Schettino, of the Italian cruse ship The Costa Concordia. SCAD has four months before the Honk Kong Development Agency makes its decision, we wish Dear Leader a quick landing into a soft lifeboat.